A little more than a week after Canada legalized cannabis, supply shortages are forcing Quebec pot dispensaries to curtail hours, they said Friday, while Ontario's online store is still trying to clear a huge order backlog. "Because of supply issues, our branches will be open from Thursday to Sunday only," the government-run Quebec Society of Cannabis (SQDC) said in a Twitter message. "Our branches will therefore be closed on Mondays, Tuesdays and Wednesdays until the availability of product has stabilized," it said. 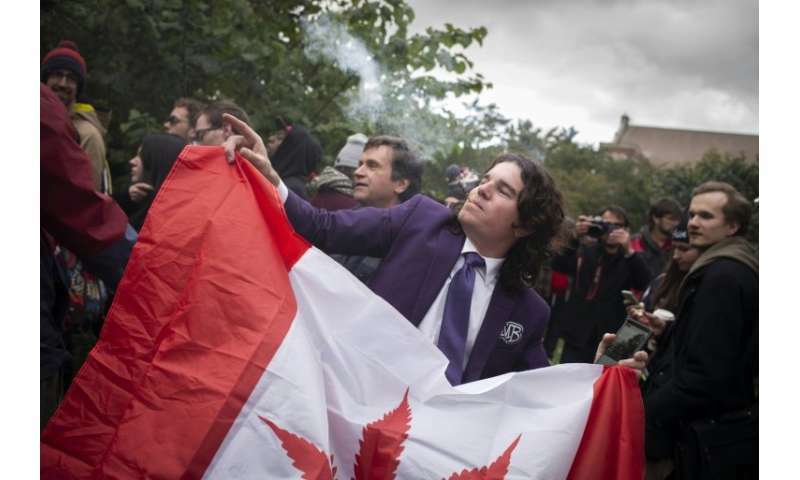 In Ontario, which processed more than 100 online orders per minute on the first day of legalization on October 17, many customers are still waiting for deliveries. Those were initially promised within one to three days. But the Ontario Cannabis Store now says to expect long delays due to "significant order volumes immediately following legalization" and a postal strike that started on Monday. Other provinces have also reported supply woes. Quebec opened its first 12 pot stores on October 17, when Canada became the first major economy to legalize the recreational use of cannabis, and plans to ramp up the number to 150 within three years. In its first week the SQDC said it had received 138,150 orders for cannabis. The government said the huge demand had been predicted and blamed suppliers for the shortages, which it added are likely to persist for several months. Ahead of legalization, a C.D. Howe Institute report had warned Canadians to expect cannabis shortages as only about 120 growers had been licensed to grow the mind-altering weed, which it estimated would only meet 30 to 60 percent of demand.